There are 14 fantastic foliage pages in this freebie. You'll rake in circle charts, brace charts, describing charts and writing frames. A poem and song floated in as well. 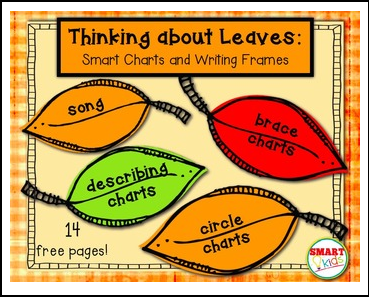 If you are enjoy this freebie, please check out "Thinking about Autumn: Smart Charts and Writing Frames."